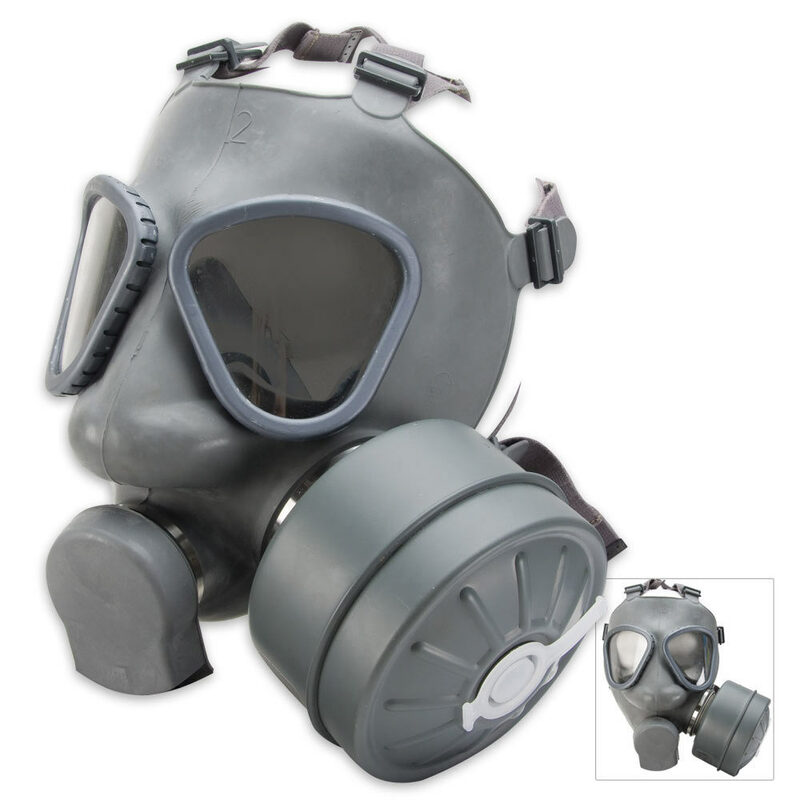 Be prepared for any chemical emergency with this military surplus Finland Gas Mask. The enclosed face mask protects your respiratory system from harmful toxins while the impact resistant goggles allow you to see. It's perfect for costume parties as well. Includes filter. These are previously issued masks, which may show signs of use, with new filters. I got this mask a while ago and I have to say it's pretty neat! I heard the filter was outdated though but other than that it is a very comfortable mask! Definitely worth it! love this mask. very little assembly is required and its not complicated. would recommend to others. WOW! Trueswords, Bravo, truly, Bravo. It's as though I got the exact mask in the the pic on the website. It fit me air tight perfect right out of the bag, brand spankin new, completely beautiful with an awesome color. Like i said just like the display, I will be ordering more gas masks from here in the very near future for sure.Thank you Trueswords for delivering again! $13 and it works...well I might add. It is an excellent functioning mask. When I tried it on, It covered my whole face without air in or out. When I tried the filter, It was very nice. The mask itself came scratches in some areas and dirty. Also the filter was dented and some paint chipped. I was informed by TS that the filter will function well though and I tried it, So it does work. The mask does look good still, and if it was used, it makes it better because...you'll wonder what stories it has to tell of someone who used it and such.